Stock are going up and to the right, according to the technical analysis team at HSBC. 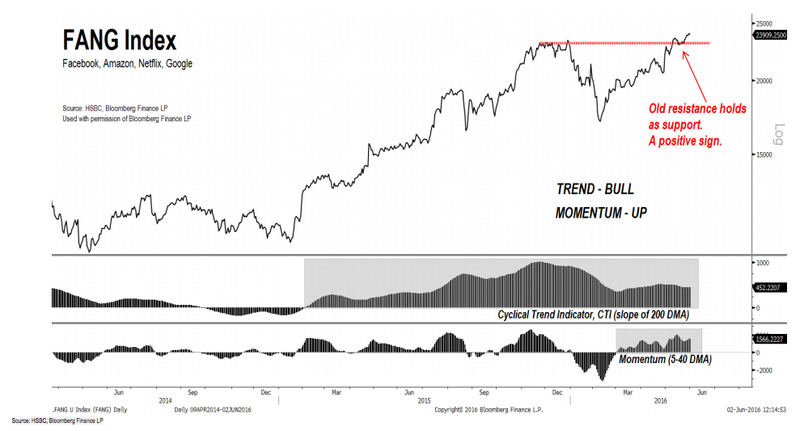 The group, headed up by Murray Gunn, observed a number of key indicators that point to a higher move for the S&P 500 over the next few weeks. 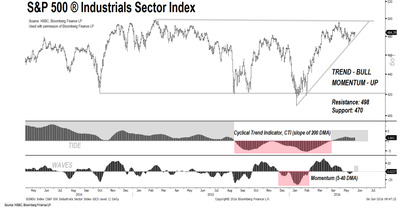 “The S&P 500 Industrials sector has given a bull signal with momentum turning higher on the back of a positive Cyclical Trend Indicator,” wrote Gunn in a note to clients Monday. The thinking here is that both manufacturing stocks and consumer-related stocks such as the FANGs (Facebook, Amazon, Netflix, and Google by HSBC’s definition) are looking strong using their preferred method, the Elliott Principle. 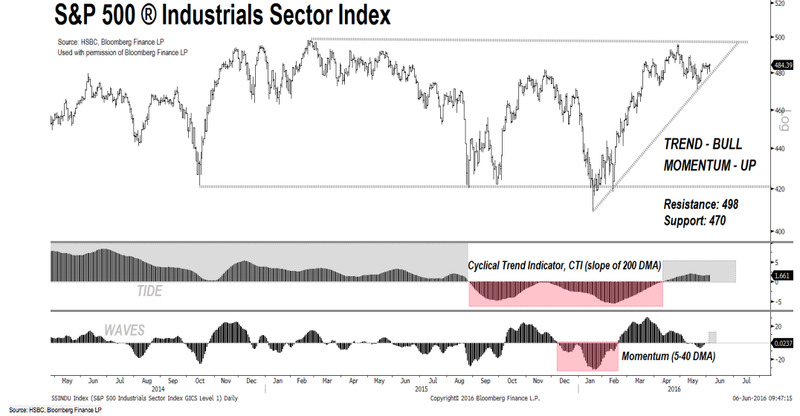 .. and the FANGs have strong bullish trends forming to support them. Basically, the upshot here is that stocks are going higher for the near-term so get on board while you can.